Citation (APA Style): Stapleton, P., Porter, B., & Sheldon, T. (2013). Quitting smoking: How to use Emotional Freedom Techniques. International Journal of Healing and Caring, 13(1), 1-9. Emotional Freedom Techniques (EFT) have been gaining strength in the published literature as strategies to reduce arousal symptoms such as anxiety. 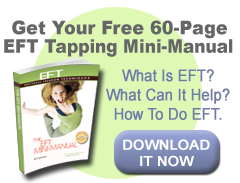 EFT falls under the umbrella of energy psychology techniques which combine physical or somatic processes with cognitive focus in order to reduce psychological distress. This article discusses the practical application of EFT to smoking cessation, and the associated physical and psychological concerns that can be addressed.